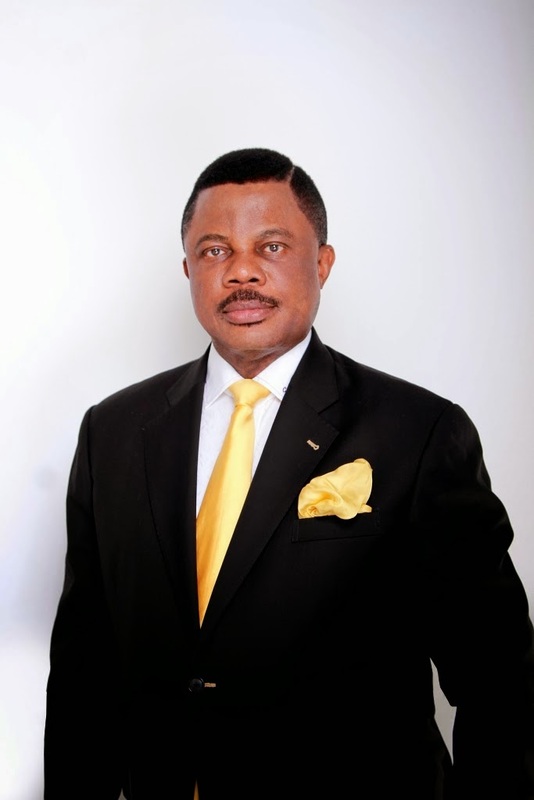 Being the text of a Special Broadcast on the April 11, 2015 House of Assembly Elections by the Governor of Anambra State, His Excellency, Chief Willie Obiano on Wednesday, April 8, 2015. As you prepare to cast your votes in the House of Assembly Election this Saturday, I want to thank you once again for standing behind me and voting for APGA in the National Assembly Election that took place the previous Saturday. Although the outcome of the exercise was hijacked at the collation stages, actual results from the polling booths have shown that you voted massively for APGA. From your votes, I am happy to note that you deeply appreciate all our efforts to build a stronger and more prosperous Anambra State. Umu nnem, daalunu! The Media Assistant to the former governor of Anambra State, Mr. Val Obienyem has been advised to treat the office of the Governor of Anambra State with the respect it deserves. Addressing newsmen in Awka, Thursday on what he termed the “Wild Accusations from Governor Peter Obi’s Media Aide – Setting the Records Straight,’’ the Senior Special Assistant to Governor Obiano, Hon James Eze pointed at the comments in some national dailies attributed to Obienyem, the alleging that the governor of Anambra State, Chief Willie Obiano has been tarnishing former Governor Obi’s image. The senator-elect for Anambra Central senatorial district and incumbent member representing Anaocha/Njikoka/Dunukofia federal constituency, Hon. (Mrs) Uche Ekwunife has urged the All Progressives Grand Alliance (APGA) candidate for Anambra Central senatorial zone, Chief Sir Victor Umeh to imbibe the spirit of Sportsmanship by accepting defeat in just concluded national assembly elections in Anambra. Hon. Ekwunife who stated this yesterday in Awka during a media chat, said she won that election on account of her robust and issue based campaigns as well her past records as a lawmaker. She noted that while she was busy campaigning vigorously others resorted to campaign of calumny. Ekwunife assured that she would continue to push for that which would benefit the poor masses while advising the losers to throw-in the towel and support her emergence. Commenting on issue of PDP being a minority party, she described her party as sweet minority noting that winning 45 seats was by no way a mean feat. According to her, PDP was still a party to reckoned with noting that her party had more spread than any political party in Nigeria. Her words, ' I served my people well. I am not surprised that they voted massively for me. You need to see how they used to welcome me everywhere I go. We all met at different functions and each time I am called upon to talk a lot people will be hailing me. In fact, If that election is to be conducted 100 times; I will still win 100 times. I am far better than Umeh. Rivers State Governor, Chibuike Amaechi, has accused the First Lady, Mrs. Patience Jonathan, of putting pressure on the Resident Electoral Commissioner (REC), Mrs. Gesila Khan, to rig the tomorrow’s election in favour of the Peoples Democratic Congress (PDP). Amaechi said the first lady, who arrived Port Harcourt on Wednesday, has been holding series of meetings with senior officers in the security agencies including the resident electoral commissioner on the elections. The governor spoke yesterday at the Dr. Obi Wali International Conference Centre, Port Harcourt, while addressing stakeholders on how to approach Saturday’s governorship and house of assembly elections. Mandela: Celebrating 25 years of his release. Less than two months to the inauguration of the Eighth Senate, some Igbo senators are set to leave the Peoples Democratic Party (PDP) for the All Progressives Con¬gress (APC). The APC, which clinched majority Senate seats in the March 28 National Assembly poll, is set to constitute the leadership. Ahead of that, it was learnt at the weekend that three ranking PDP senators from the South-East had opened ...talks with top leadership of the APC. General Overseer, Latter Rain Assembly, Pastor Tunde Bakare, has warned the President-elect, Muhammadu Buhari, to be cautious about appointing those who are to constitute his government. Bakare, made this statement at the 26th anniversary of his church, tagged, ‘Democracy audit: chances, choices and consequences.”, stressing that the wasted years in Nigeria can only be restored if Buhari surrounds himself w...ith men and women of goodwill, great intellectual capacity, competence and character. He further advised Buhari to start the fight against corruption from his circle and lay a good example, saying change cannot be achieved if these were not done. “I pray sincerely that not all those who facilitated his winning the election will be among those who run the government. I did say before the election that I trust the person of General Buhari but not all those around him. Governor Sule Lamido of Jigawa State and his Niger State counterpart, Dr. Mu’azu Babangida Aliyu, received a hard knock from the Kano State number one citizen, Rabi’u Musa Kwankwaso, on Sunday, who said the duo committed political suicide by not defecting from the Peoples Democratic Party (PDP) to the All Progressives Congress (APC). In November 2013, five of the seven gover...nors called G7 in the PDP – Chibuike Amaechi (Rivers), Ahmed Abdulfatah (Kwara), Kwankwaso (Kano), Murtala Nyako (Adamawa) and Aliyu Wamakko (Sokoto) – defected to the APC. Lamido and Aliyu refused to join them. Nyako was later impeached. Following the private meeting held between President Goodluck Jonathan and President-elect Muhammadu Buhari Friday on the handover from the president’s administration to his incoming successor, THISDAY has learnt that Buhari’s transition committee shall comprise politicians and members of the organised private sector. administration to his administration to ensure continuity in governance. A chieftain of the All Progressives Congress (APC), who spoke to THISDAY on the issue, said he was aware that Buhari would rather the committee comprises a good mix of politicians and private sector members, and would likely review the list of members already drawn up by former Lagos State Governor, Senator Bola Tinubu. “I can tell you with certainty that the president-elect’s transition committee will comprise politicians and private sector members. According to Rawlings in a statement yesterday, “Nigerians have taken the lead in the rejection of corruption. Nigerians did not just vote anyone. They voted for a man whose integrity is extremely high. Nigeria is tired of corruptio...n and the choice of this leader is a clear indication of where she wants to go. The Chaplain to the President, Ven. Obioma Onwuzurumba, on Sunday said despite losing the March 28 presidential election, Nigerians would still look for President Goodluck Jonathan. He said at a point, Nigerians would seek Jonathan’s advice. Onwuzurumba said this while delivering his sermon titled, ‘The Lord is risen indeed’, during the Easter Sunday service held at the Aso Vill...a Chapel. He likened Jonathan to Jesus Christ, whose disciples, he said, were not even convinced that he was the messiah and that he would resurrect. He said although the President was not Jesus Christ, he was like the messiah. The clergyman said, “This Jonathan they did not want, they will look for him. “This Jonathan they despised, they will look for him. The Catholic Caritas Foundation of Nigeria has issued a statement, condemning the alleged anti-Igbo statement made by the Oba of Lagos, Rilwanu Akiolu, when Igbo leaders in Lagos visited him on Sunday. “At the national offices of Caritas Nigeria and Justice Development and Peace Commission, we are totally shocked t...o read about the threat handed down by Oba Akiolu to the Igbos in Lagos. While it is understandable that a Royal Father would want for his wishes to be carried out, we are deeply concerned that the royal father is missing the point that Nigeria is a republic and a democracy and not a monarchy. "For five, six years, the Nigerian enforcement law agencies, including the military, couldn’t secure 14 Local Governments. How can I promise miracles when I come? But with the cooperation of our neighbours Cameroon, Chad, Niger and the international community, and the commitment we are going to get from the military, I think it will take us a much shorter time to deal with it”, he said. Former Governor of the Central Bank of Nigeria and the current Emir of Kano, Lamido Sanusi, says President Goodluck Jonathan lost because of the mood of voters which was determined by the economic conditions and level of poverty across the country. Sanusi, who is now known as Emir Muhammadu Sanusi II, said this during an interview with our correspondent on Saturday. He said the voting showed that areas which had a high rate of poverty felt... neglected by the Peoples Democratic Party-led Federal Government over the years. Sanusi said the presidential poll results showed that the figures of the PDP in presidential elections from 1999 had continued to dwindle significantly. The monarch said the PDP got fewer votes in 2007, less in 2011 and then fewer votes in 2015 causing the ruling party to finally lose to the opposition party, the All Progressives Congress. He said, “I think in 2011, it was very clear that Jonathan had lost many states in the North that had previously been won by former President Olusegun Obasanjo. And it was clear that there was a general sense by people of the Federal Government not investing in the areas where there is a high level of poverty. The Rivers State Governor and the Director-General of the Buhari Campaign Organisation, Mr. Rotimi Amaechi, has said with the emergence of Maj. Gen. Muhammadu Buhari (retd.) as the President-elect, there will be no police brutality and molestation in the state. Amaechi, who called on the people of the state to vote the All Progressives Congress governorship candidate, Dr. Dakuku Peterside, in the April 11, 2015, e...lection, assured voters that any police that harassed them would be punished. Speaking during a ward-to-ward campaign in Emohua and Ikwerre Local Government Areas on Saturday, the governor urged the electorate not to be afraid to come out and vote. “Next week Saturday, I expect everybody to come out and vote. There will be no police molestation again. There will be no Army harassment again. Any police that molests you must be preparing to retire and this time, it will not be retirement, it will be punishment for retirement. So, come out to vote. We are looking for you to come out to vote. The youth wing of the Ohanaeze Ndigbo has issued a 48- hour ultimatum to the Oba of Lagos, Rilwan Akiolu, to "retract and unconditionally apologise to Ndigbos" over his alleged threat to Igbos living in Lagos on their choice of candidate in the coming governorship election. Ohanaeze said it considered the comments credited to the monarch as "an insult on the Igbo nation..., both home and abroad and least expected of a traditional ruler of his status". 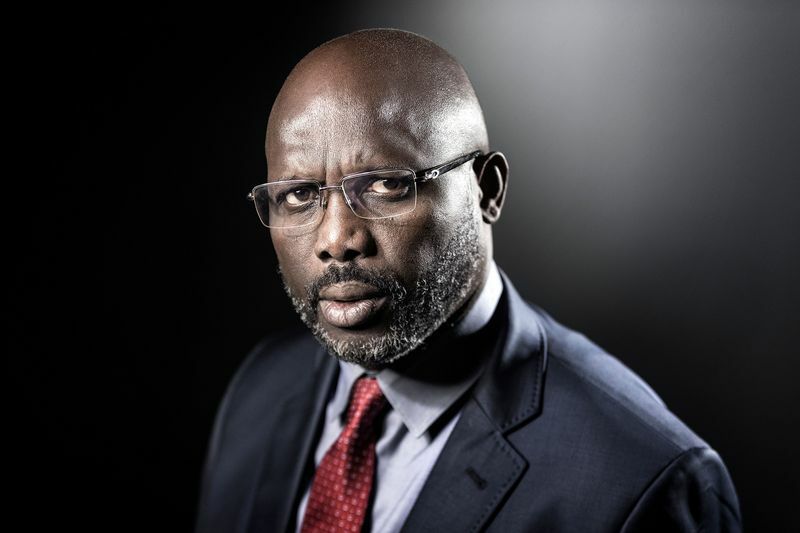 The monarch had reportedly threatened to "make life unbearable for Igbos in Lagos if they sabotage efforts being made to ensure that the governorship candidate of All Progressives Congress, Mr. Akinwunmi Am¬bode, emerges as governor of the state." The oba also reportedly said the Igbos would drown in the Lagos lagoon if they vote for another candidate other than that of APC. Following his much-publicised recall from Nigeria after the phone call spat, the Ambassador of Morocco, Mr. Mustapha Cherqaoui has quietly returned to Nigeria with a plan for both countries to attempt to repair the strained diplomatic ties. THISDAY could not confirm the exact day he returned to Nigeria, but it was just before the elections which started on March 28, 2015. A source told THISDAY that both countries would set up meetings to discuss how to work out the differences leading to his recall after Rabat said it snubbed President Goodluck Jonathan's attempt to speak with King Mohammed IV of Morocco. Rabat had said the phone call was snubbed because it was an attempt to curry favour with Nigeria's Muslim electorate in the presidential elections. Nigeria's Foreign Ministry in early March, had issued a statement insisting that Jonathan spoke with the king, an announcement which Morocco claimed was unethical, consequently recalling their Ambassador for 'consultations'. The All Progressives Congress (APC) members of the Ekiti State House of Assembly, on Saturday, issued a statement in which they claimed that they had served the state governor, Mr Ayodele Fayose, an impeachment notice. The Deeper Christian Life Ministry has congratulated Gen. Muhammadu Buhari (retd) on his victory at the recent presidential election and praised incumbent President Goodluck Jonathan for conceding defeat. 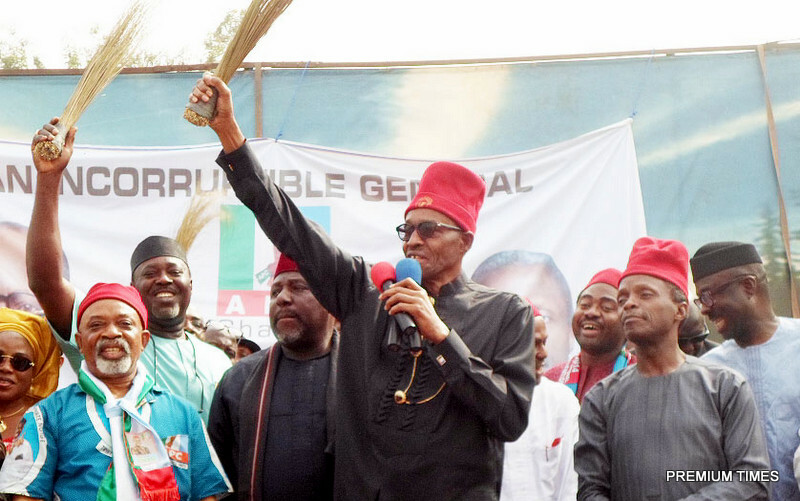 Buhari of the All Progressives Congress defeated Jonathan, the Peoples Democratic Party candidate, at the polls. The Church Secretary, Pastor Jerry Asemota, during a media conference at the camp grounds of the church in O...gun State, said Jonathan had accomplished his divine purpose for which he was elected in 2011. Asemota said, “No doubt, President Jonathan had an assignment God wanted him to fulfill. I believe he has fulfilled that assignment and the President-elect also has a specific assignment from God. The prayer of the church is that he too will know the responsibilities God has given to him for Nigeria without any distraction. On New Year’s eve, fiery Catholic priest and the Spiritual Director of the Adora¬tion Ministry in Enugu, Rev Father Ejike Mbaka, delivered a prophetic message that shook the country. He said President Goodluck Jonathan would fail in the presidential election. Why did Mbaka say so? He had told the world that the Holy Spirit told him Goodluck Jonathan was not favoured to continue as president going by the state of the Nigerian economy and widespread insecurity, which he had failed to contain. Soon, a controversy ensued and tongues started to wag about the message of the priest, more so as the First Lady, Dame Patience Jona¬than, had only visited the Adoration Ground in Enugu last November. Ndi Anambra, all over Christendom, the period of Easter is a time for deep reflection on the supremacy of sacrifice in the affairs of man. In the Christian calendar, no other event draws attention to the awesome love of God for mankind as exemplified in the sacrificial death and resurrection of our Lord, Jesus Christ as the feast of Easter does. PRESIDENT Goodluck Jonathan may drop the hammer on a number of ministries and parastatal agencies, following the decision to clean them up during the transition period. It was gathered that some parastatals agencies whose heads were adjudged to have fouled government’s procedures may also be affected by the clean out. 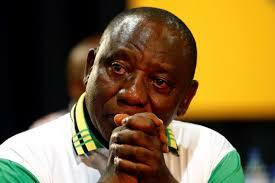 Sources close to the administration told Sunday Tribune that one of the quick decisions taken by the top echelon of the administration was to prevent any of its officials taking decisions that could give the government a bad name when it eventually hands over to the new government. A source said that while the number of those to be affected is still being compiled, the decision has already been taken. Speaking while receiving a delegation of the people of his home state, Katsina, who came to congratulate him on his election as President of Nigeria, General Buhari regretted that the citizens had been made poorer by the... 16 years of PDP maladministration in spite of the fact that the country received more income in that period than at any other time. Some community and militant groups in Delta State have warned that they will not accept the exclusion of the Niger Delta people in the allocation of oil blocks in Nigeria. A source close to one of the interest groups told SUNDAY PUNCH on Saturday that following the failure of President Goodluck Jonathan to secure the support of northerners and south-westerners in the March 28 presidential election, the people of the region ...now want to take a stand on how they want the oil blocks allocated. The source said several meetings had been held and more meetings would still hold to arrive at a common position, as renewal of the oil block licences will become due soon. He said, “You can see how they voted during the election. Every ethnic group voted for their own. But they want to come back to the Niger Delta to take away our resources without even recognising that we should be involved in the allocations. President of the Christian Association of Nigeria, Ayo Oritsejafor, has called on Nigerians to embrace peace, love and forgiveness for one another. The CAN President said, “Dear brothers and sisters, Christ died and rose once for all and for everyone; bu...t the power of the resurrection, this passover from slavery to evil, to the freedom of goodness, must be accomplished in every age and in our nation. According to him, the need for peace that President Goodluck Jonathan demonstrated by conceding defeat to Buhari in the recently held presidential elections should be the point of reference for all our political leaders in the coming governorship and state assemblies elections. APC MEMBERSHIP CAN'T BE ALL-COMER AFFAIR-NGIGE. Senator Chris Ngige this evening said those planning to join APC in the state would be screened before admission ,stressing that the party's membership would not be an all-comer affair. He stated this during a heroic reception organised for him by members of his party at Finotel hotel to mark APC's presidential victory at the March 28 polls. He maintained that old members of the party would always enjoy priority far above new entrants. He noted that the bane of the PDP was opening its gate too wide for new comers which he said brought the confusion that eventually buried the party. The Catholic Bishop of Awka Diocese, Most Rev. Paulinus Ezeokafor has urged Christians world over to always remember the poor, the physically challenged and the less privileged around them especially during this Easter period and always. He observed that it was a blessing to help the poor and underprivileged in our society. Bishop Ezeokafor who stated this yesterday at St. Patrick's Catholic Cathedral, Awka while presenting clothing materials, disinfectants, bags of stock fish, toiletries, bags of rice among other consumables and food stuff to the poor and less privileged in Awka and its environs. His words: 'Most times, we are being distracted by the euphoria of Easter celebration, forgetting the poor and down trodden in our midst. What we are doing today is part of the cooperate social responsibility of the church and we do it on monthly basis but today being good Saturday is the climax because we reach out to more people and donate more items for your Easter celebration. We do this because God loves those who give back to the poor. 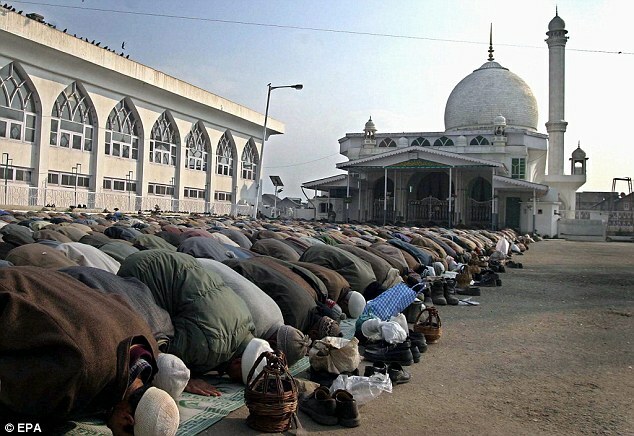 There will be more Muslims than Christians in the world in less than sixty years, new research revealed.